Konnichiwa. Welcome to Japan. Your adventure begins with a welcome meeting tonight at 6pm. Tonight’s meeting will be followed by an optional dinner with the group. As the millennium-long home of the imperial kitchen, Kyoto is known as the centre of Japanese culinary tradition, so you’re sure to begin this trip with a delicious meal. Enjoy a dinner with your fellow travellers and tour leader at somewhere local in this mesmerizing city. With a full free day, there is much to experience, from historical landmarks to traditional arts and literature. 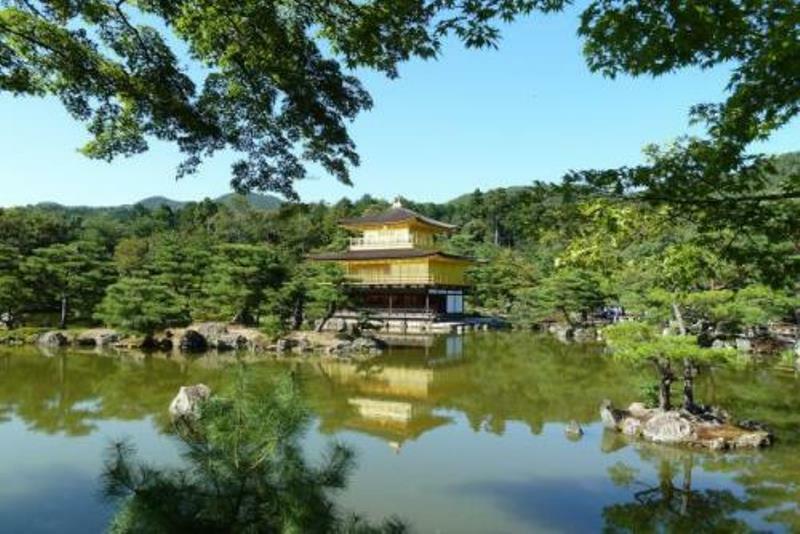 Kyoto is a city that lends itself to walking, and there are a number of walks available. Close to your hotel the architecturally impressive Higashi Honganji temple and the almost surreal Sanjusangendo, home to 1,001 statues of Kannon. Visit the most photographed Fushimi Inari Shrine or enjoy a peaceful stroll in the bamboo groves and Tenryū-ji in Arashiyama. Today you will take a day trip to the city of Nara. With eight World Heritage sites, Nara is second only to Kyoto as a fountain of Japan's cultural legacy. 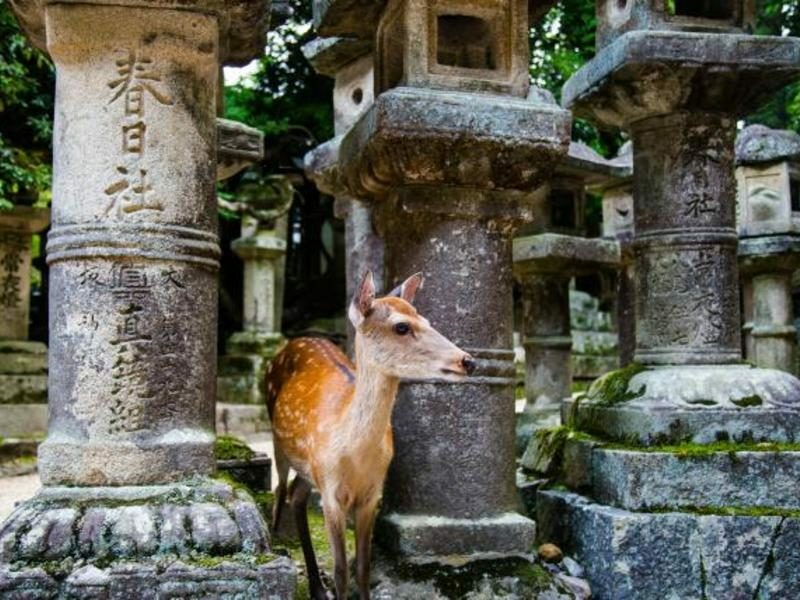 While here you’ll visit Todaiji Temple, with friendly wild deer roaming freely in the park around it. You’ll also visit the Kasuga Taisha, Nara's most celebrated shrine. Kasuga Taisha is famous for its lanterns, which have been donated by worshipers. The lanterns are only lit twice a year during two Lantern Festivals, one in early February and one in mid August. Return to Kyoto for the evening, which is free for your own rest or exploration. As you speed south to Hiroshima, you’ll stop en route for a stop at Japan’s most impressive samurai castle at Himeji. The building, which has survived earthquakes and war since the mid-16th century, was restored to its full glory in 2015. The moats, baileys, towers and walled alleyways were ingeniously designed to trick attackers. Explore the castle that was once home to over 10,000 samurai families. 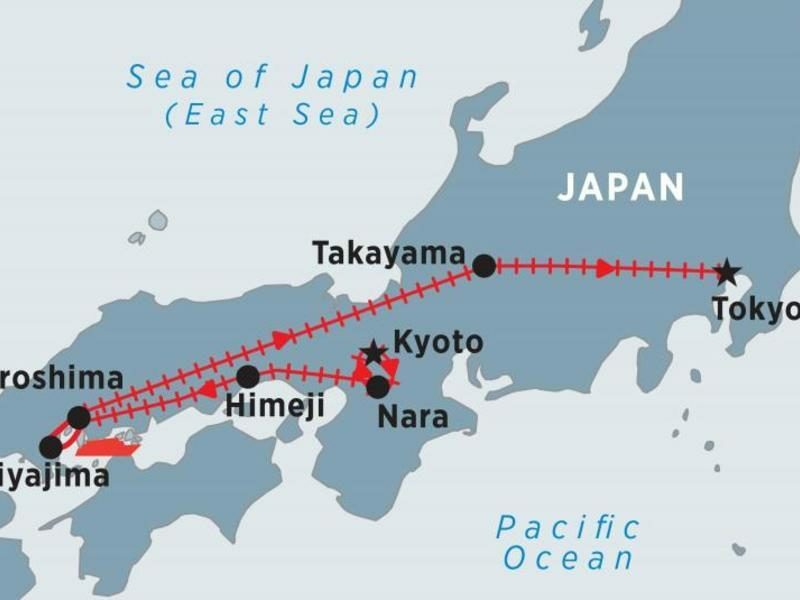 Continue on to Hiroshima, the city indelibly connected with World War II and the atomic bomb. This morning you’ll visit the Genbaku (A-Bomb) Dome and the Peace Memorial Park and Museum, both of which stand testament to the fateful day in August 1945 when Hiroshima was chosen as target for the first ever wartime use of the atomic bomb. The dome was just metres from where the bomb detonated so it was able to retain its shape. Afterwards head for the serene island of Miyajima, reached after a short ferry ride across the Inland Sea. 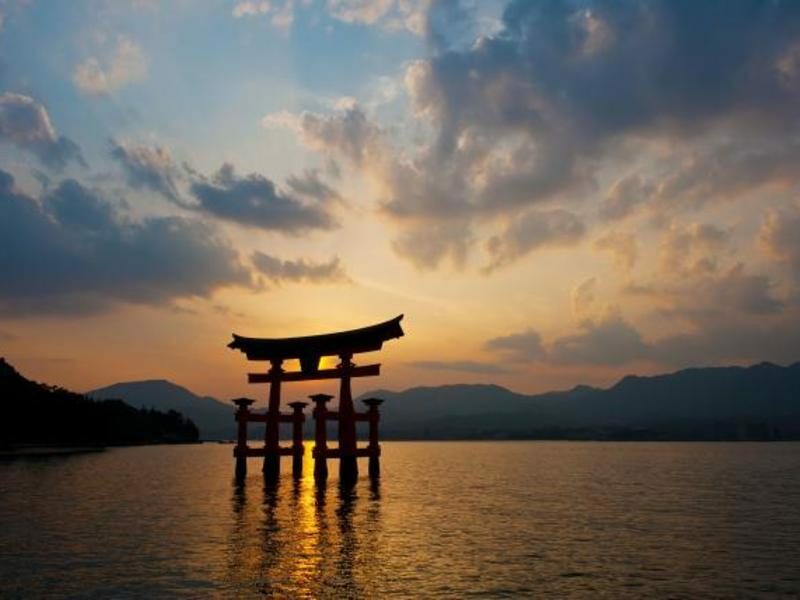 The island is home to the venerable Shinto shrine of Itsukushima. The size and physical landscape of Miyajima makes it an ideal place for walking. There is the lovely Momaji Park, from where it is possible to walk or take a cable car up to the top of Mt. Misen. Return to Hiroshima for the night. Before we depart Hiroshima the leader will try and organise something special for the group during your time here. Due to the sensitivity around the subject of Hiroshima and the availability of our guest speakers. You will then travel to Takayama, a charming Edo-period town located in the Japanese alps. Renowned for its traditional inns, sake breweries and tranquil atmosphere, this riverside jewel of central Honshu may well be one of the most enjoyable stops on your trip. Today you will visit the local Takayama farmers market, try some Japanese treats and peruse the stalls. Afterwards you will visit Hida Folk Village, an open-air museum of traditional architecture that gives a sense of centuries past. The alps are stunning from this vantage on a clear day. You will also visit a sake brewery this afternoon.Enjoy a walk around the brewery, followed by a sake tasting. Today you’ll undertake a varied, full-day tour of the city, beginning in the historic Asakusa area. This is one of the older and more traditional parts of Tokyo, and is often called the temple district. Here you’ll stop by Senso-ji, the city’s oldest temple. Browse the many interesting stalls – filled with tasty treats, crafts and souvenirs. After lunch you’ll enjoy an alternative view of Tokyo as you relax on a short cruise down the Sumida River. Enjoy a free day to explore this pulsating city. Perhaps head to the eastern districts which are magnets for the city’s fascinating youth subcultures. See the crowds at Shibuya Crossing, the costumes in Harajuku, as well as the important Meiji Jingu Shrin. Your Peregrine tour ends today - check out any time before 12 pm. 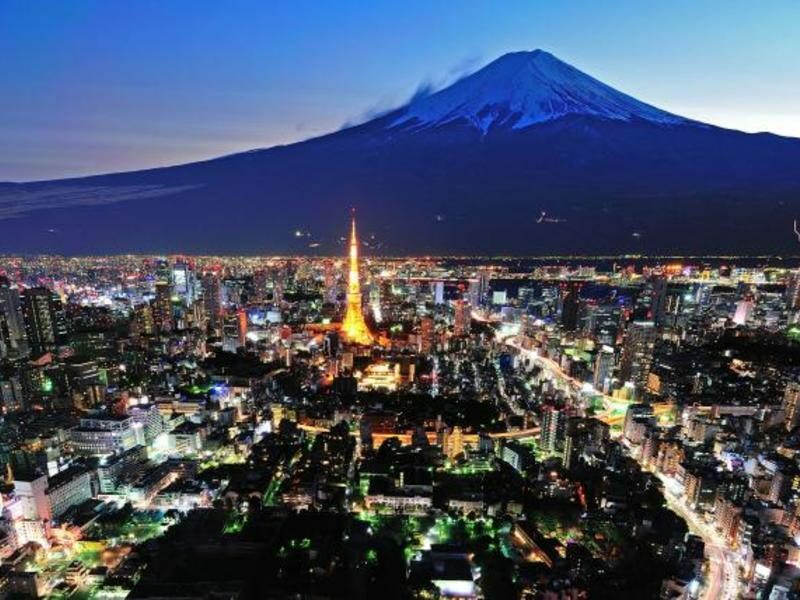 Japan, a country steeped in mythical traditions and modern wonders. This journey gradually reveals the rich variety of the country as you visit temples, castles, shrines and holy mountains while mixing with locals and experiencing the real Japan. Come on this magical journey and experience all that Japan has to offer. Prices listed are per person twin share in Australian Dollars, based on twin occupancy, including all discounts unless otherwise stated. The offer is subject to availability at time of booking. Fares are capacity controlled and are subject to change at any time without notice. Prices are correct as at 07 December 2018 and can be withdrawn without notice. Payments made by credit card will incur a surcharge.